*This post was sponsored, but the opinions expressed are my own. The Christmas season is always full of parties, decorating, eating – you know, all of the fun stuff! But as a busy mom you might be feeling on the hook for all of that, so it’s not as fun as if you just showed up and enjoyed yourself. As moms, it’s usually our job to get all of the gifts, figure out the decorations, cook or order the food, and still handle our everyday tasks like working, commuting, and being a mom. I have found that I want to enjoy the holidays, not be bogged down with tasks. So, I came up with a few things I’m doing differently this year to save myself some time. These might work for you too! Let someone else cook the meats! Most people like my side dishes, and to be honest, can’t make the dressing like I do. Therefore, I’m going to keep that on my list, but I’m for sure passing off the items that I don’t enjoy cooking and that others can do better than I can. I’m ordering a roast and fried turkey now so that on Christmas I don’t have to even think about it – literally, they are getting picked up that morning so they will still be hot! What’s something you don’t enjoy cooking? Let someone else do it. 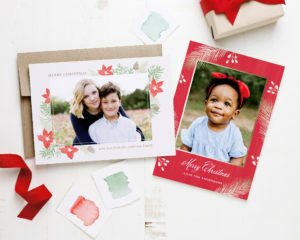 Send out Christmas cards that are pre-designed. I’m usually on my phone the night before Christmas cropping a picture of my son into a quick frame that I made on an app that I happen to love. However, it never comes out how I want it to and I regret it, but realize it’s too late to not send it out as is. This year, I’m playing around with Basic Invite’s Christmas cards. They are designed by professionals! 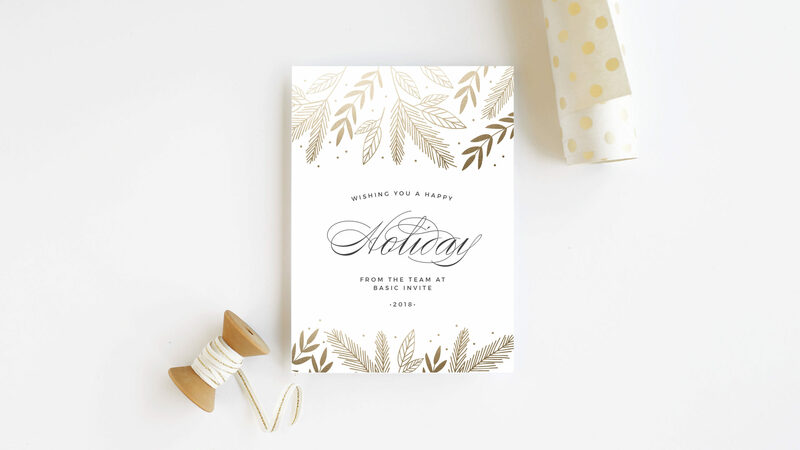 Basic Invite also has a free address collection service so I can be sure to get everyone’s address and update my own list easily – definitely don’t want to forget anyone, especially on my husbands side of the family. 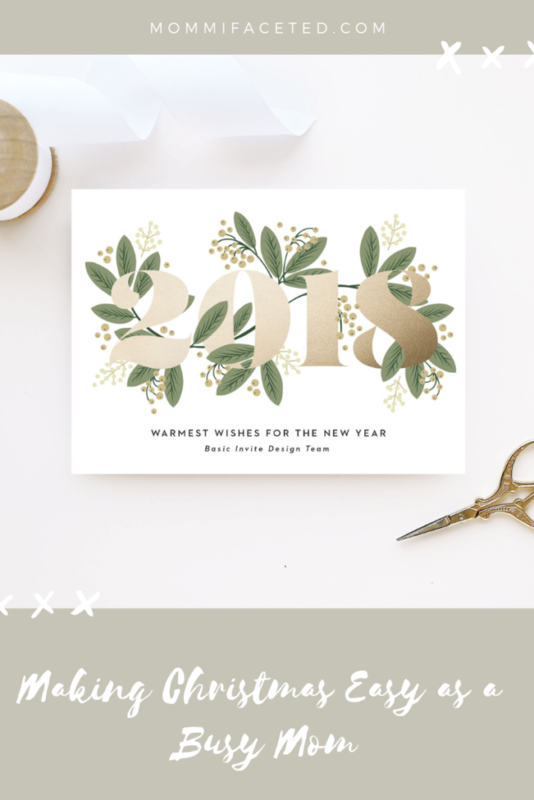 They also have 40 different colors of envelopes and over 180 different card colors, which I absolutely love, this makes it easy to ensure that my card will stick out in the mail! I wish I could video the faces of the people who will get these, they are going to love the look. While I was checking out the site, I saw some elegant wedding invitations that I’ll suggest to my engaged cousin, and some birthday party invitations that I’m going to use, let’s just say I spent lots of time on the website. We aren’t going to every party. Lastly, I had to say no to a few parties. We got invited to the party at daycare, work after parties, ugly Christmas sweater parties, and a big celebration at church. My husband and I decided we’ll do 2 and politely decline the rest. They will have to miss us, but what I won’t miss is the stress of finding something to wear, getting there on time, exchanging a $10 gift that I won’t use, and staying up late with strangers that I won’t remember. I’d rather just enjoy and go all out on the 2 parties we are going to, stay late, wear my best dress, and enjoy the rest of my new-found time to be with my family and friends. Where can you find a few minutes to spare during the holidays?